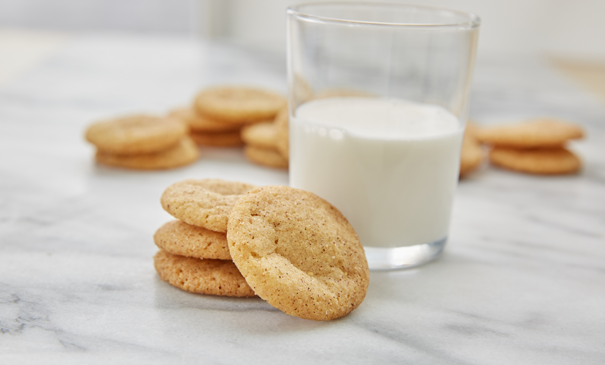 Snickerdoodles are a snap to make when you start with sugar cookie dough, cinnamon and sugar. The mini size makes them popable so you can’t stop with just one! Heat oven to 350°F. Remove dough rounds from package. Cut each round into quarters; shape dough into 48 balls. In small bowl, mix sugar and cinnamon. Roll balls in sugar-cinnamon mixture. Place 2 inches apart on ungreased cookie sheets. Bake 9 to 11 minutes or until set. Cool on cookie sheets 2 minutes. Remove to cooling rack; cool completely, about 20 minutes. Store covered in airtight container at room temperature. If desired, roll tops of warm cookies in additional sugar-cinnamon mixture. Use completely cooled cookie sheets. Cookies will spread too much if put on a hot or warm cookie sheet.